Your AW wardrobe is calling out for chunky knitwear like the Beige Oversized Jumper Dress With Scallop Hem. 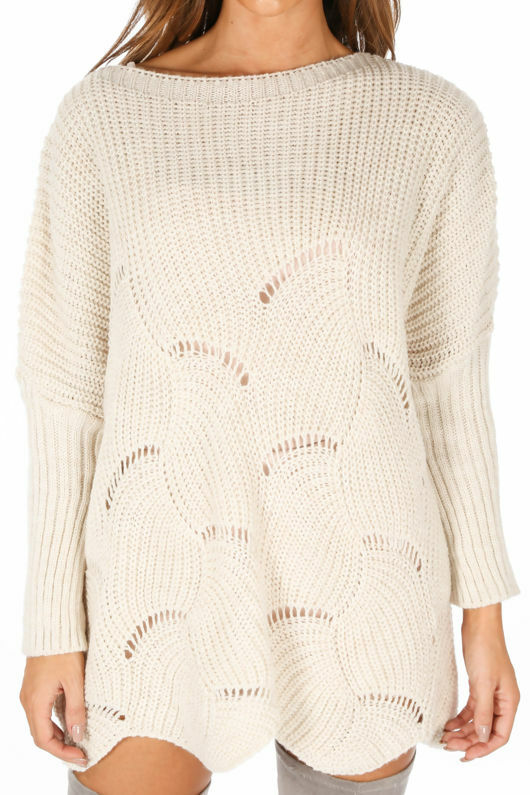 This oversized sweater dress is made from a soft touch knitted fabric and features a round neckline and long sleeves. It's finished off with a scallop edge detail on the hem. Wear this alone with a pair of thigh high boots and a faux fur gilet or throw it on with jeans and ankle boots for casual days.